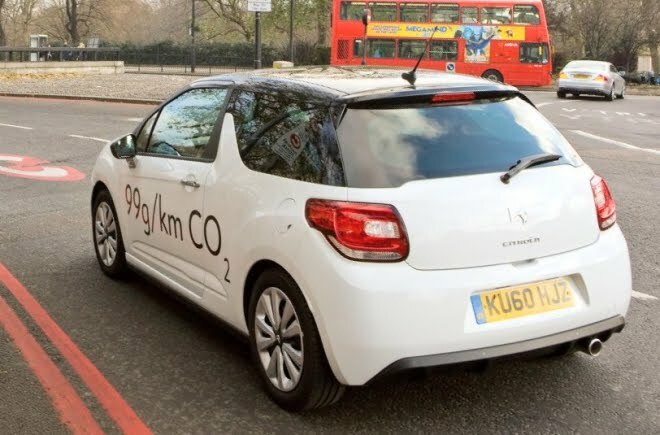 There’s a surprisingly large selection of fossil-fuelled cars that are now exempt from the London Congestion Charge, assuming owners are willing to register and pay £10 to appear on the guest list. Audi A3, Citroen C3, Citroen DS3, Fiat 500, Fiat Punto, Ford Fiesta, Lexus CT 200h, Mini, Seat Ibiza, Seat Leon, Skoda Fabia, Smart ForTwo, Toyota Auris, Toyota iQ, Toyota Prius, Vauxhall Corsa, Volvo C30, Volvo S40, Volvo V50, VW Golf, VW Polo. If you’re wondering which are the best and worst congestion-charge exempt cars, read my follow-up post for details. For most of the above it’s only the most frugal model in the range that sneaks in with the required 100g/km-or-lower CO2 emission figure and Euro V cleanliness. Look for the green, blue or eco specials, with the stop-start option-box ticked in some cases or browse the government’s list of Band-A cars. Be careful what you choose, though — not all of the above will be very nice to drive because quite a few eco specials are underpowered, over-geared, or both. Plug-in electric cars can still drive into the CC zone for free but lots of hybrids that used to qualify for free entry no longer meet the criteria — previous-model Priuses, most Lexuses and lots of Honda hybrids fart out too much carbon and will now have to cough up for the charge. 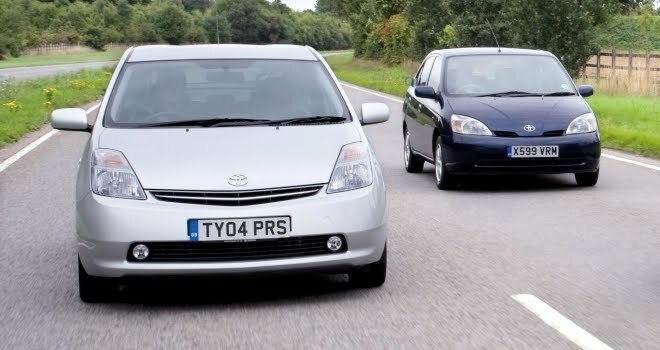 Some, like the Mk2 Prius and Honda Insight, miss out by a margin smaller than 5g/km. Owners of these unfortunate hybrids who are already registered under the old alternative fuel exemption (like me) can continue to nip into the zone without charge, but this special dispensation ends in December next year and can’t be transferred if the car is sold. From the current list of options, I’d probably plump for the Auris hybrid – I really enjoyed driving it last year, and it’s really very clean. The Smart ForTwo and Toyota iQ are also very well suited to London motoring, particularly when it comes to finding an elusive kerbside parking slot when you get to wherever you’re going. Unfortunately in the Toyota’s case you have to opt for a manual gearbox to get under 100g/km, and cog-swapping by hand is not ideal when crawling from traffic light to traffic light, hour after hour. It’s also worth remembering that small diesels equipped with particulate filters are not ideally suited to pootling about in London. DPFs do need to be given the odd high-speed blast to heat up the exhaust and keep the filter working properly. Never mind the question of air quality. Alas, the new rules seem set to make the smog we call air in the Capital even worse.